Bitcoin was designed to be a type of online virtual currency. As such, its place is supposed to rival that of the fiat, or cash markets. For example, when you go to a game room, you may have to purchase tokens in order to play the games. Those tokens are, for that game room, the equivalent of bitcoin on the internet: they are all a store of value and a way to transfer wealth. Along with the different businesses listed above (of which there are many, many more), there are a lot of opportunities that have been popping up in the area of proxy services. This is where someone pays bitcoin for a service or product that only accepts fiat, and an intermediary person (the proxy service) will take those bitcoins and pay for the product or service for a fee. As an example, these exist for Amazon, where, despite Amazon not accepting bitcoin right now, customers can pay the service in bitcoin and the service will make the purchase on Amazon using fiat. This type of service has really opened the doors to a lot of new ways to use bitcoin. In essence, even when a business or individual doesn’t accept bitcoin, customers can still use it; just not directly. This was actually seen in the case of the Tesla Model S that was bought using bitcoin. The trick to this was that the Lamborghini dealership that accepted the bitcoins was not doing so directly. Instead, they were using a proxy service like BitPay, which allows merchants to accept bitcoin but have it converted to fiat and then deposited into their account. The reason for this is that unless every supplier were to accept bitcoin, at some point a business has to cash in if they want to continue running (and obtaining more products). This creates liquidity but in most cases businesses will just dump the coins at the current market value, as they would otherwise have to wait an unknown amount of time before they can purchase new products. 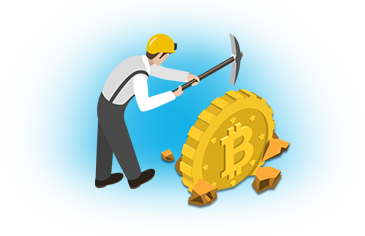 If they were waiting and the value of bitcoin decreased in that time, they may not be able to afford new items, which means they would cease to be able to continue their operations. Many people think that the conversion to fiat is a negative thing and should be avoided, but at this moment in time it is a necessity in most cases. With the expansion of businesses accepting the cryptocurrency, however, things are quickly changing to where this won’t be true anymore. While there are many businesses and opportunities to spend bitcoin on products and services, there is always more room to expand. This is something anyone and everyone can help with, as well, by simply accepting bitcoins for your own products and services and by making requests to others to do the same. For example, if you visit a small shop every now and then, you can make a request that they accept it. The same goes for major retailers as well; simply write a letter or other request to let them know you’re interested. While a single person doing this will not make a huge difference, it starts to add up as many others from the community do the same thing. And the more businesses pick up bitcoin, the more it will grow as others will follow suit.